One of the region’s largest international festivals, WorldFest celebrates its 10th anniversary with three days of expanded world food, music, dance, culture and education this Labor Day weekend on Louisville’s Belvedere downtown. With at least 90 languages spoken in the Louisville public schools and with 50 percent of the city’s population growth over the past 15 years coming from international residents, Louisville is more culturally diverse than ever before. New this year is the Spirituality Tent overlooking the Ohio River showcasing many diverse means of spiritual expression and celebrating the joy of spirituality from many perspectives. 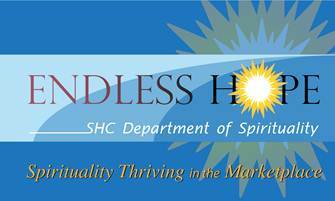 An additional feature is the spiritual business model exemplified by Signature HealthCARE. “Spirituality Thriving in the Marketplace” celebrates the intersection of business with the impact of the spiritual (the freedom to worship in one’s own faith tradition) on creativity, capability and performance in the business arena. This entry was posted in Events, Spiritual News, Updates on August 31, 2012 by Stephen Bowling. The New Pay It Forward Program! The Department of Spirituality has inaugurated it’s new “Pay It Forward” program! Arising from a ground swell of need, and successfully piloted by the Pinellas Park Facility, the “Pay It Forward” program is a short term emergency debt fund that provides stakeholders in extreme financial distress a loan to purchase basic daily living supplies such as diapers, gas, or food. The Program is managed within each facility and the roll out is taking place at the Fall Chaplain Meetings where the program is introduced and explained by our very own Sam Clemmens. The idea is to raise “Seed Money” for the program, which stakeholders can apply for when they are in short-term need, paying the money back (with the option of making a small donation to the fund to keep it growing) when they get their next paychecks. Shortly after the program was rolled out for West Tennessee, the Pickett facility managed to raise over $500 to start their program! How’s that for reacting fast! This entry was posted in Updates on October 21, 2011 by Stephen Bowling. Introducing our New Spirituality Blog! If you’re looking to find out what’s new in the world of Spirituality, look no further! This new blog is designed to inform you of our latest happenings, programs, opportunities, fellowship, and uplifting stories. It is also the place for you to express your faith, plug into your own faith journey, comment on a spirituality program you would like to see developed in your building or place of work and many other things as well. Come by often as there is always something going on! This entry was posted in Updates on September 8, 2011 by Stephen Bowling.